So here it is finally, the post of my first race. It has taken me a little bit of time this week because I have been a bit worn out. On top of race recovery, BM is teething and the other monkeys have taken up late night wandering, with a bit of bed wetting thrown in to keep laundry mountain unmanageable. 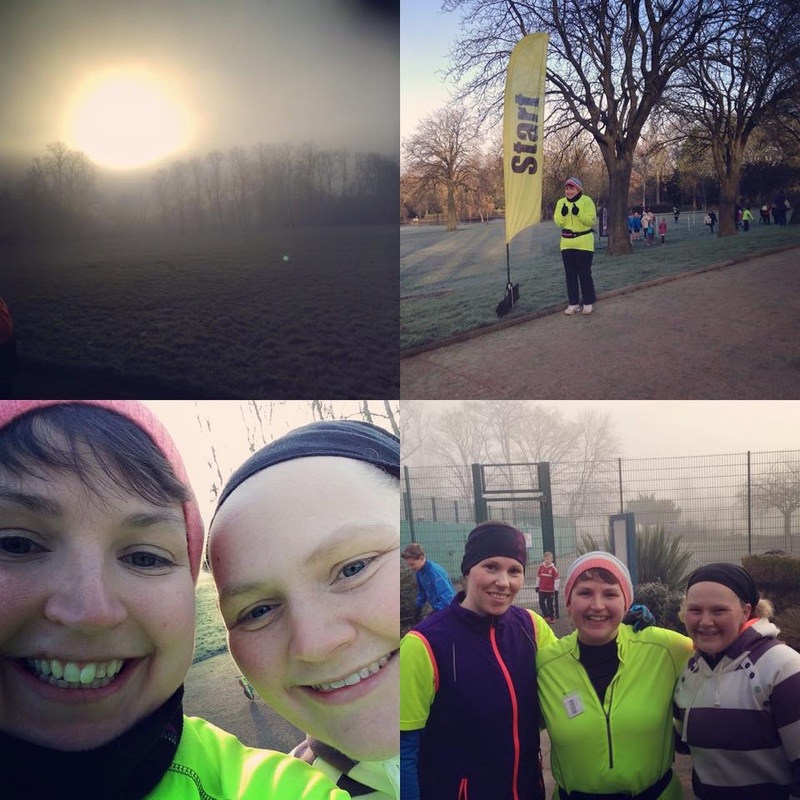 However, here I am, as promised to give you the run down on the Ropner Park 5k Winter Trail Race. Let me be totally honest with you, ahead of Sunday’s event I was frightened. What was I thinking making this plan then making it public? 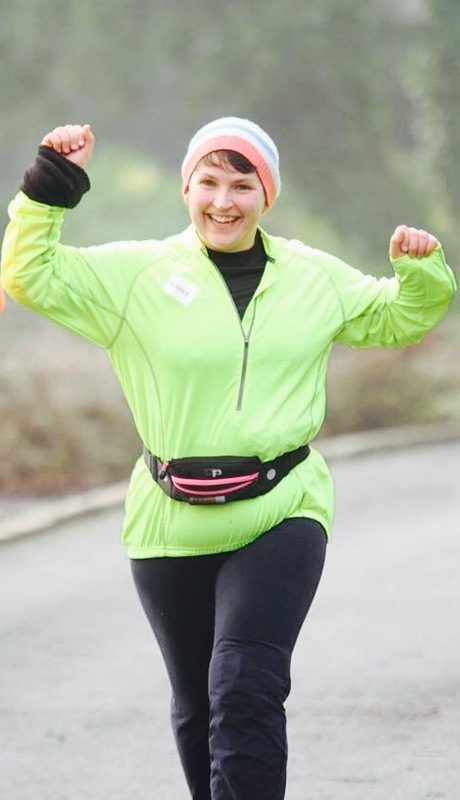 I’m out of shape, I have no proper running gear, apart from a semi descent pair of trainers and a shabby old sports bra, and I’ve had no time to train. The write up of the race on Facebook said that it was a fast run, which made me feel even more scared and then it was below freezing outside too. What made me step out of my front door and walk to the park instead of using the one million legitimate excuses I have as a mother not to go? All of the above actually. The reason I went was because I needed to show myself that even without all the fancy gear, it was just about putting one foot in front of the other, adding a bounce and achieving something for me. When I started this blog I began to find more and more similar blogs or projects. Lots of mummies getting back into running and encouraging others to do the same. The difference was that most were running half and full marathons, chasing personal best times and shelling out on fancy gear and looking stunning. Lots of filtered and athletic pictures all over the place. So forgive me for feeling more than a little intimidated in my flourescent potatoe running top, puffing on my asthma inhaler. I’m not athletic or toned or in shape. I have arthritis in my hand and knee and I have no time to train. But against all the odds I was there on that start line ready to run. Or jog. Whatever, I was there and the organisers couldn’t go home until I was finished. On the start line that day with my big sister, a fellow running mummy of two, we joked about being last, more than a little intimidated by the runners who would be out front fighting for their new PB. However, when the race started we agreed, just a jog in the park for us, and do you know what, it was so much more. Early on we found ourselves with other runners at our level, out to enjoy the day and once the front runners caught up to lap us, amazing things began to happen. They started to offer support and encouragement to keep going. The marshals, although freezing were the same. The last man came in flanked by his friends, having finished themselves, who had run back to keep him company in his final lap. Despite the cold, friends came out to support us, turning up at different stages of the race, bringing their monkeys out just to say well done. Even Mr LMR made it out with all three monkeys. He even stuck it out until the end, even though one monkey staged a major protest to being out in the cold with cold hands. Cold hands that could have been in the perfectly acceptable pair of gloves provided by his daddy but apparently not the ones he wanted. I admit that I did swell with pride when I saw my little dysfunctional family shuffling around various stages of the course. However, I cannot say that the sight of my stroppy monkey didn’t add to my sense of freedom and added a spring to my step. If it was possible to run any slower than I already do I might have been tempted at that point to prolonge that feeling. Of course I didn’t slow down and my lovely family were there to cheer me through the finishing line. All lined up ready for a cuddle. It was amazing. I remembered why I loved to run in events like these. It wasn’t all the hard work during, it was that feeling when you finish. The euphoria that it is over and the rush of endorphins that explode in your brain. I did it and that day it signified so much more than just a race. After the race, my sister told me that she had loved it once she had got out there and won the fight with herself. A phrase that rang so true with me. We met another mummy, Rachael, who had come out that day against all the odds. A fellow mother of two, juggling sleepless nights and the demands of a busy family. All three of us had physical and emotional reasons not to turn out. Not to mention the crippling cold that day. But we came out because we had to grab that little piece of freedom. Grab it with both hands and run with it. Why? Because we deserved it. The other reason I had turned out on Sunday? Because I had not just made a commitment to myself or to you lovely people following me. I had made a commitment to Raindrops to Rainbows. I had committed myself to raise money for them so that they could offer support to other mummies out there needing somewhere to turn. A place to go when they are overwhelmed by the stresses and anxieties of parenting. Whenever I doubt myself I keep in mind the face of a beautiful little baby, only a few days younger than my own, completely unaware of the sadness that currently surrounds him and his daddy, brave but lost without his wife. This makes me keep going and running for my little piece of freedom. Because in a small way, I can make a difference and hopefully help others to turn raindrops to rainbows. So, on to the next challenge. I have decided to continue with the Stockton 5k winter trail series. The next race is on 28th February 2016 and is the Cowpen Bewley 5k Winter Trail. This one is going to be interesting. Set in a woodland park, there is a very big hill and it has the potential to be a bit of a mud bath on wetter days. All in all a different type of challenge. If any of this is inspiring you then remember you are always welcome to join me, whatever your ability. Run, walk or come and cheer me on. If none of these options appeal then feel free just to donate from your sofa to Raindrops to Rainbows. Don’t forget to leave a little message for me on the gofundme page and remind me to keep going. Now I’m off to research trail running shoes, establish that I have insufficient funds in the maternity leave fund for them and then pray for dry weather.